Guatemala is on the 'wrong side of history', say the Palestinians, while Israel heaps praise on the Central American country. Just weeks after President Trump decided to recognise Jerusalem as the Israeli capital, Guatemala has announced it is also moving its embassy from Tel Aviv to Jerusalem. Prime Minister Benjamin Netanyahu said in English: "God bless you, my friend, President Jimmy Morales." Then in Hebrew he said: "I told you recently that there will be other countries that would recognise Jerusalem and announce the transfer of their embassies over there. "Well here is the second country and I reiterate: there will be more, this is only the beginning." The announcement from President Morales, whose country receives a lot of assistance from the US, came after Trump threatened to cut off financial aid to countries that tried to block its stance. Mustafa Barghouti, a Palestinian legislator, said: "Morales is participating in violating the international law which prohibits the annexation of occupied territories. "This decision does not change the fact that the vast majority of the countries of the world are against moving the embassies (from Tel Aviv to Jerusalem) and are against the annexation of East Jerusalem and are against the decision of President Trump to recognise Jerusalem as the capital of Israel. "The majority of the world is on our side and the decision of one country like Guatemala will not change that." 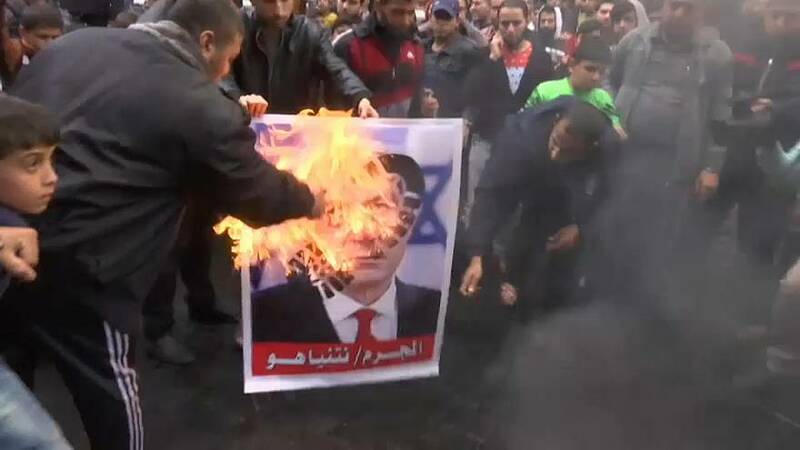 Palestinian demonstrations continue over Trump's decision and on Thursday 128 countries rebuked Trump by supporting a UN General Assembly resolution calling on Washington to reverse its move.